After Richard Dean Anderson was "MacGyver," but before he was "Stargate SG-1," he was a "Legend." In this short-lived UPN action/adventure series, Anderson played a cowardly and drunken author of dime-store western novels, who is forced to impersonate his greatest creation - the steampunk superhero Nicodemus Legend - and fight crime alongside a brilliant scientist, played by John De Lancie from "Star Trek." 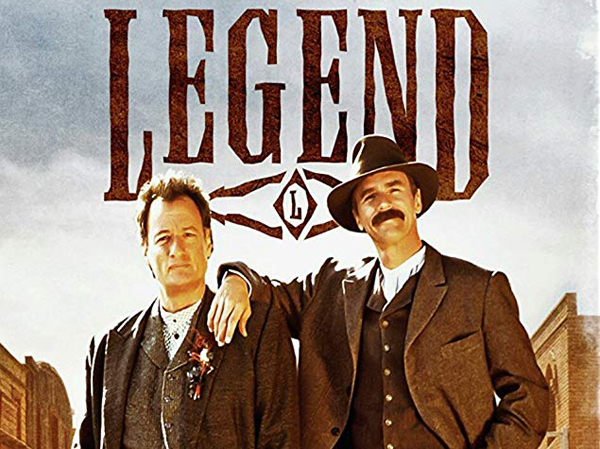 "Legend" may have been overshadowed by the failure of UPN, and by the cult success of "The Adventures of Brisco County Jr." (which beat "Legend" to the airwaves), but was it really... Canceled Too Soon? Film critics William Bibbiani and Witney Seibold explores the cult series in the latest episode of the podcast.